Fresh mulberry leaves are the only source of food that silkworms will eat before they become silk cocoons. That says how good mulberry leaves are. 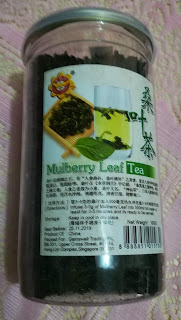 Also known as sang ye (桑叶) in Chinese, mulberry leaves are both food and medicine to the Chinese. So, what makes mulberry beneficial to us? It can promote the protein synthesis in human body, get rid of body’s cholesterol, and lower blood lipids.